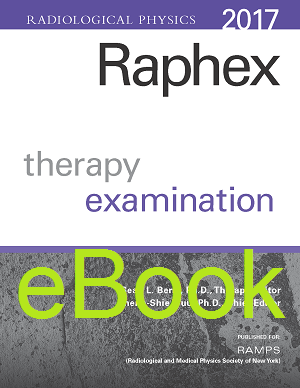 The Raphex 2017 Therapy exam includes topics in IMRT, VMAT, IGRT, SBRT, and other new technologies. Traditional topics in previous exams are still covered. The exam matches ASTRO's current physics curriculum guidelines for resident instruction.